October 2018 - MemComputing, Inc.
Today’s industrial and business landscapes are undergoing major transformations. As digital technology continues to evolve, it’s disrupting the global economy, industry and our everyday lives. It’s enabling businesses to make faster and more informed decisions while driving innovation and increasing efficiency to improve the bottom line. Companies are now being measured by the success of their data science teams working across the entire business. Big Data and the complexity of solving related problems are growing exponentially. The highest value computations are taking companies hours, days and weeks to find reasonable solutions. How is your business navigating digital transformation? What’s your company’s strategy to capitalize on disruptive technology? To stay at the forefront of your industry you need to start innovating now. 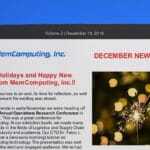 MemComputing, Inc.’s disruptive MemCPUTM Coprocessor technology is enabling businesses in all types of industries to accelerate innovation goals. 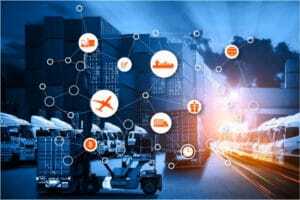 With the explosion of IIoT, IoT, Smart Cities and all of the sub-technical categories within these markets such as AI, ML, DL, AR, VR, etc., there is a need to process and synthesize collected Big Data faster and in real time. Industries of all types are facing computational challenges processing vast amounts of data fast enough to arrive at actionable solutions that have benefits. How can MemComputing help my company? MemComputing’s MemCPU Coprocessor technology is a computing engine that rips through today’s most complex and time-consuming optimization problems. The MemCPU Coprocessors overcome the combinatorial explosion affecting compute times – cutting them by orders of magnitude, at scales and complexity once thought impossible. IoT, Smart Cities and Mobility (i.e., scheduling, routing, optimization, etc. ), enabling data scientists to improve cycle times, overhead costs and the bottom line. We actually perform better as problem complexity increases, and in doing so, turn hour long computations into seconds. Is there proof that MemComputing’s groundbreaking technology really works? Yes! Not only has MemComputing been shown to significantly reduce the compute time of known problems, our MemCPU technology has been proven to solve problems considered impossible. UC San Diego evaluated MemComputing against a Quantum Computing benchmark developed by Lockheed Martin to show how a Quantum Computer could be used to accelerate the pre- training of a Deep Learning Neural Network. Using the exact same benchmarks, UCSD found that MemComputing accelerated the training as quickly as the $15M Quantum Computer. Further, the MemComputing technology, running on a $17K Xeon Processor based server, also improved on the accuracy of the training over the Quantum Computer. Read the publication: Accelerating Deep Learning with Memcomputing. We’re als o m aking traction by developing Proof of Concept prototypes for com panies in various industries. Read more about these on our website. Stay tuned for next month’s newsletter where we will go into more detail. MemComputing, Inc. was selected to join an elite ecosystem of 158 startups in Plug and Play’s Winter 2018 startups batches. Plug and Play is a global innovation platform headquartered in Silicon Valley that is bringing together the best startups, investors and the world’s largest corporations for fast-tracking innovative technological advancements. MemComputing is one of 16 startups joining the Internet of Things (IoT) Batch that is setting out to solve the most challenging problems across multiple networks on multiple continents. MemComputing was voted in by Plug and Play’s venture team, VC partners and corporate partners for the honor of participating in this 3-month accelerator program which has already kicked off. During the next 12 weeks MemComputing will be attending and presenting at exclusive events, m eeting with the Plug and Play corporate partner com panies and collaborating with other companies in the ecosystem. Plug and Play does not take equity for acceptance into its program, but actively invests in a large number of participating of companies every year. For more information see pnptc.com/winter-2018.